Lets start with the basics, Steemhunt is another platform that is powered by the steem blockchain. SteemHunt lets you post your favorite products and useful innovative web application or open source application. Easy and simple. But before you go with hunting for your research, you will be needing to read their posting guidelines first. I wont be able to copy-paste it for you because we might be accused for copy-pasting a content that is not ours. First step, of course is to find a products which suits the posting guidelines. Read it all there and understand the guidelines. If you found that application/products that has not been hunted yet, download first some pictures so you may able to upload it immediately. Copy the link from the product, and make sure it is not an e-commerce website like Amazon or etc, make sure it is the official website from the product. Also make your description more attractive, dont start uploading GIFs yet if this is your first post. 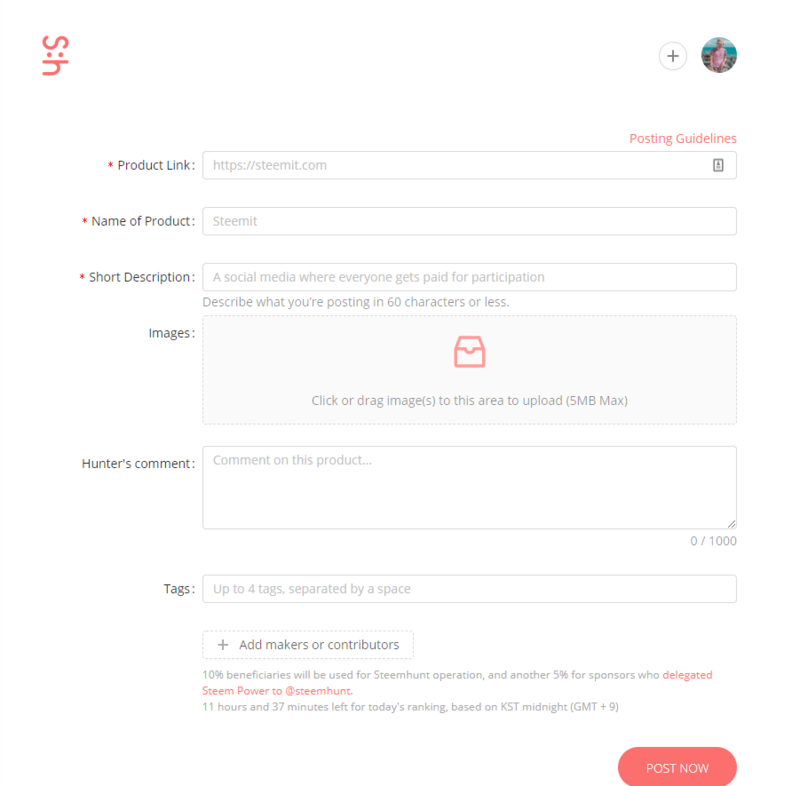 Input your comments about the products, you may also present your product well like adding a few photos to the comments section and a embed video from youtube.. This is the stage where I recommend that hunters should be posting their hunts 9KST 12AM. Because there are a lot of circle voters which I dont want them to mention here in this post. But there is no need to worry, atleast the influencers are here to help you (if your hunt is good). You will also have to wait for your hunt to get approved, sometimes they wont because it does not fit the posting guidelines, but you may appeal if you feel that this hunt should be approved because its “innovative” enough. @@team – Is responsible for the development of the platform, the front-end and the back-end of the system. They are also responsible for the tokens to be launched this May. @@community manager – Is responsible of the behaviour of the discord channels and the discord server. He/she answers the problems, and also deal with problematic hunters. @@moderators – are in charge of the approving hunts most likely. They are not responsible for the curation and the ranking of the top hunts. @@influencers – Has also an important role of upvoting hunts that are undervalued and make it to the top for atleast to get the hunt noticed. If you need more answers, you may find us at this https://discord.gg/ptpJCwA link provided, also don’t tag moderators or the team unless its an emergency. Just tag the @@influencers if you need help.